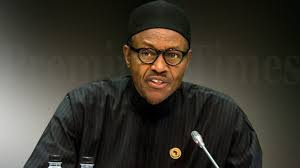 President Muhammadu Buhari on Sunday raised the alarm that having lost the war to the nation’s armed forces, insurgents are desperately seeking ways of returning to the society to wreak havoc. Buhari therefore called on all Nigerians, especially those that are resident in areas previously ravaged by terrorists, to be more vigilant and ready to work with security operatives in ending the war against insurgency. According to a statement by his Senior Special Assistant on Media and Publicity, Mallam Garba Shehu, the President made the submission while reacting to the spate of suicide bombings in Chibok market, Dolari Internally Displaced Person’s camp in Borno State and the Gombi market in Adamawa State. He said the insurgents’ gradual return was meant to embarrass his government and that was why they chose isolated communities and markets as their targets. He said the insurgents had suffered immensely from the sustained bombardments of their camps and hide outs by the Nigerian military and had resorted to using desperate measures to gain cheap media attention. The President added that the terrorists had been rendered weak, confused and homeless after repeated bombings and ravaging of their camps and hide outs by the military, forcing them to find their way back into the society to wreak havoc, like the case of the Dolari IDP camp. He said, “I urge all citizens wherever they live to own the war against terror and to be part of the fight because it is the only way we can finish the remaining work that needs to be done to make our country safe again. “Having lost the war, they (the insurgents) are seeking ways and means to gradually find their way back into society. Buhari noted that the materials for the Improvised Explosive Devices were locally sourced by the insurgents. He therefore urged Nigerians to be more circumspect and report suspicious purchases and movements of unusual components in any part of the country, especially the North East. The President extended his condolences to all the people of Chibok, Gombi and Dolari who lost loved ones in the recent attacks and prayed that the Almighty God will comfort them and grant the injured persons quick recovery.